Remembrance Day Service at Kennedy Langbank School on November 8th, at 10.50 a.m. Everyone is Welcome. ​To access power point presentation: Click on icon Right Click and download a copy, click on save, click on open. Right click on icon and click on Present object and then show . To move presentation ahead tap space bar. 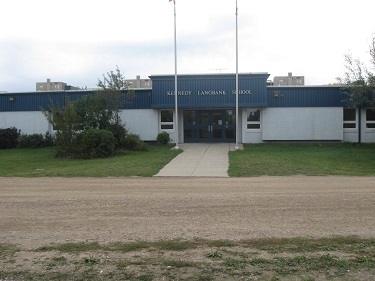 "Anxiety & My Child" Parent Information Night at Montmartre School beginning at 6:30 p.m. This even is hosted by Prairie Valley Learning Supports Team. ​Thank you to everyone who participated in our Book Fair. We sold a total of $1265.00 in product which means our school will receive $594.55 in free books. Thank you to Mrs. Deiter for all your hard work in putting on our book fair - you are awesome!! ​ UNICEF UPDATE: Our UNICEF fundraising initiative has come to a close. Thanks to your generosity we were able to forward $88.20 to UNICEF in support of their initiatives in Third World Countries. Thank you for making a difference in the life of a child! ​Kennedy Langbank School Clothing is now available for purchase on line. Order form can be accessed by clicking on Kennedy Langbank School clothing under quick links on the right hand side of our web page Thank you.